Our Team helps sustain the vision of Amal, with love, peace and joy. 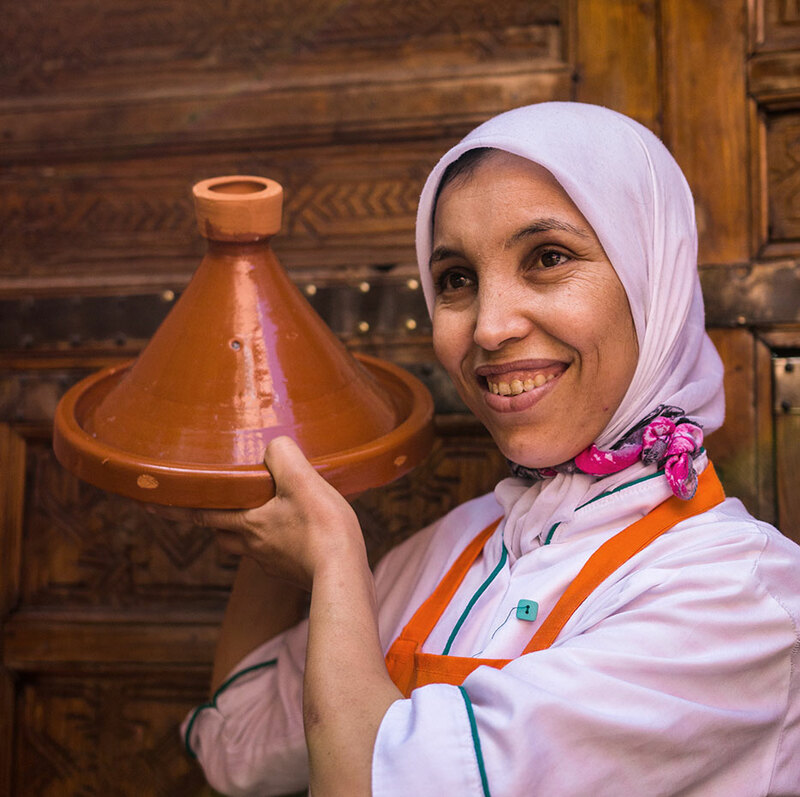 Nora is an American-Moroccan who first conceived of Amal due to her desire to help the extremely poor women of Marrakech. 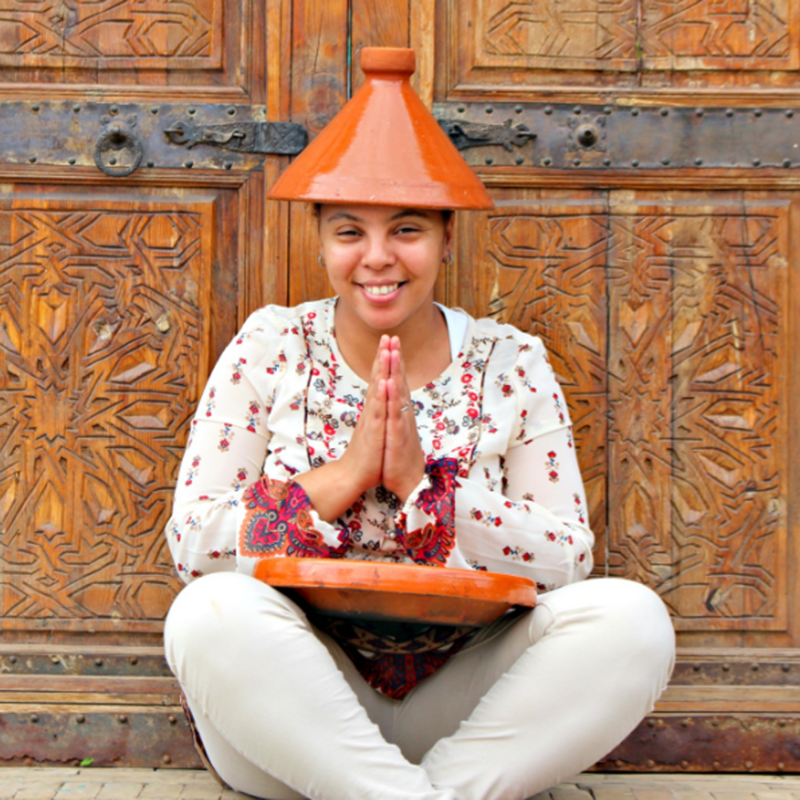 She grew up in Morocco and is devoted to improving her community. Annabella has been a member of the Amal board since September 2014. 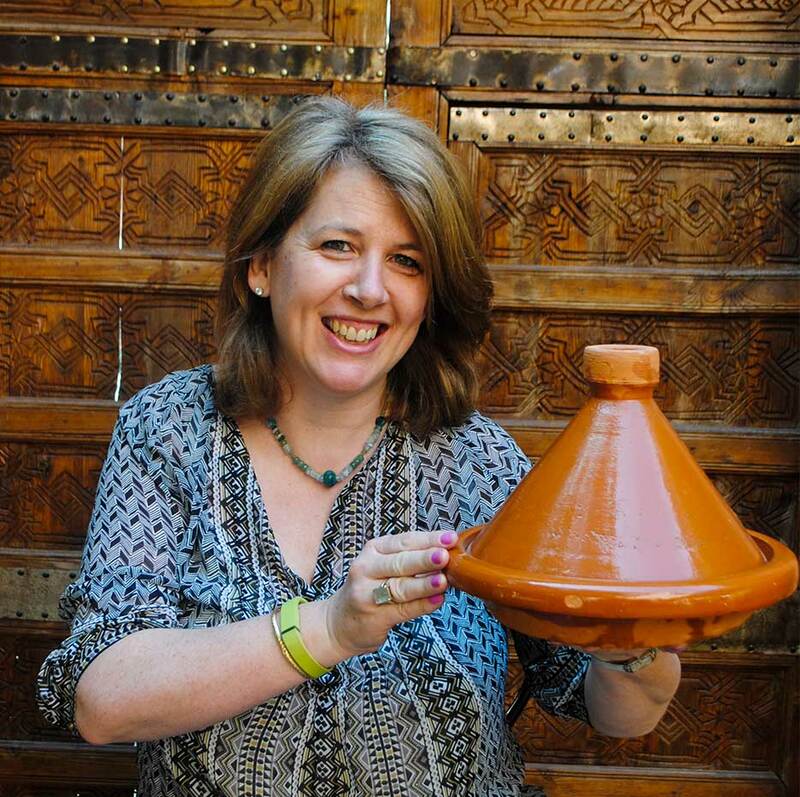 Leaving behind a legal career in London, she moved to Marrakesh thirteen years ago. 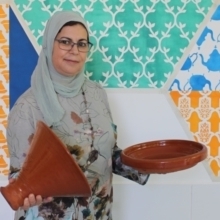 As well as being a mother to her young son, she runs a successful business here with her Moroccan husband, and also works as an English language teacher. 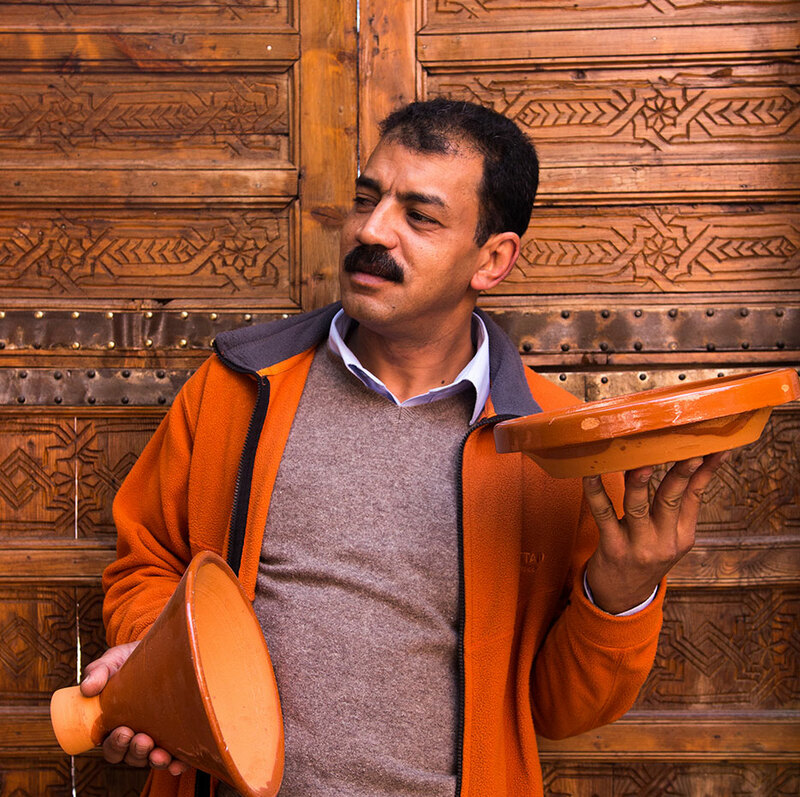 Karim Zein has been a board member at Amal since its founding. He has had an active role in working with international organizations for over 25 years in promoting development and creating environmentally sustainable business practices and conservation. 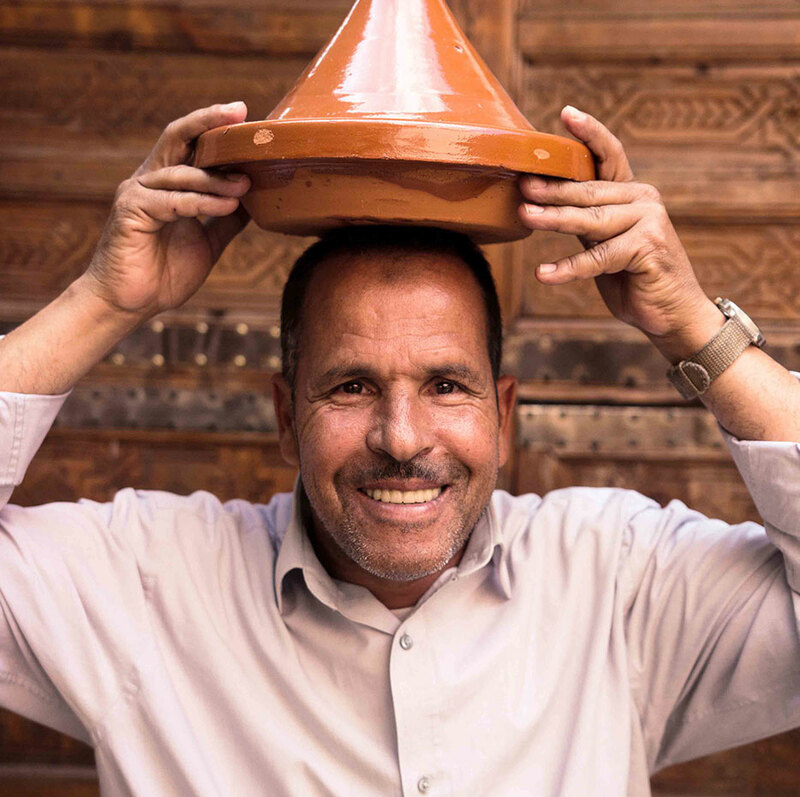 Since 1995, Karim has been the acting president of Sustainable Business Associates, an international NGO based in Switzerland, working in Morocco and other Middle East and North African countries. 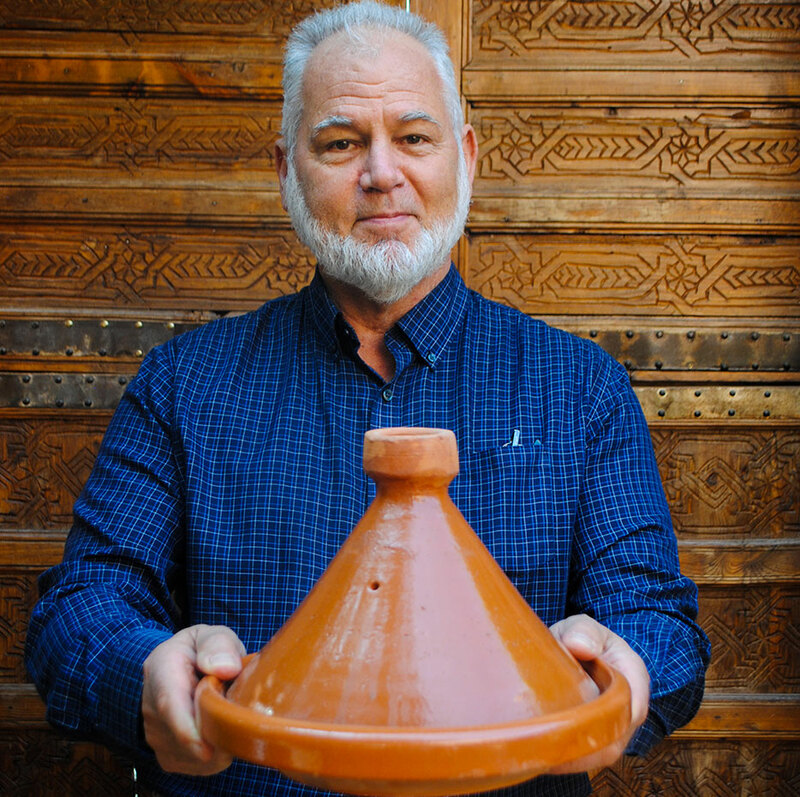 Michael Abdurrahman Fitzgerald has been involved in education in Morocco for the past thirty years both as a teacher and administrator. 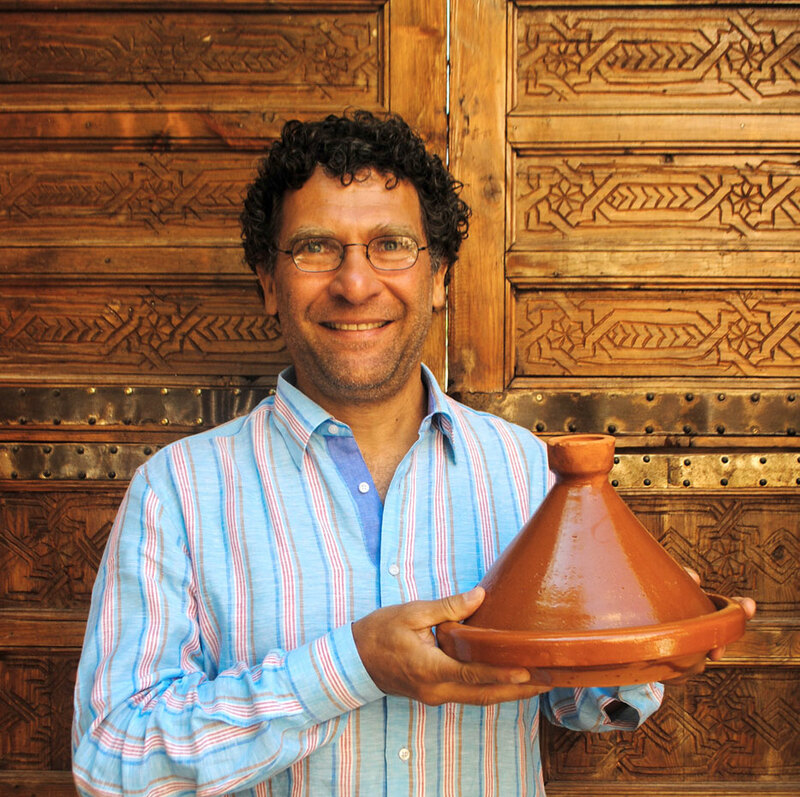 He is currently the director of the Center for Language & Culture, Marrakesh. Born in Beni Mellal and raised in Mohammedia, Oumaima is an engineer. She graduated from ENSA (National School For Applied Sciences) in Marrakech. She became part of the Amal family in May 2015 as a communication manager. She, then, was promoted to the rank of director after just one year and continued to build Amal’s reach until the day she moved on from Amal in December 2018. Oumaima was instrumental in opening Amal 21 and Amal Sign Language Cafe as well as ensuring that Amal’s vision was carried out and always striving to improve. Amal is forever grateful for Oumaima’s committment to Amal. Kenza joined Amal in May 2016. Kenza holds a master’s degree from ENCG-Tangiers. Kenza worked in an education agency in Tangiers before joining Amal. Kenza volunteered for 5 years in an ENCG students’ NGO that helps people in rural areas especially the most marginalized. Kenza loves helping others. 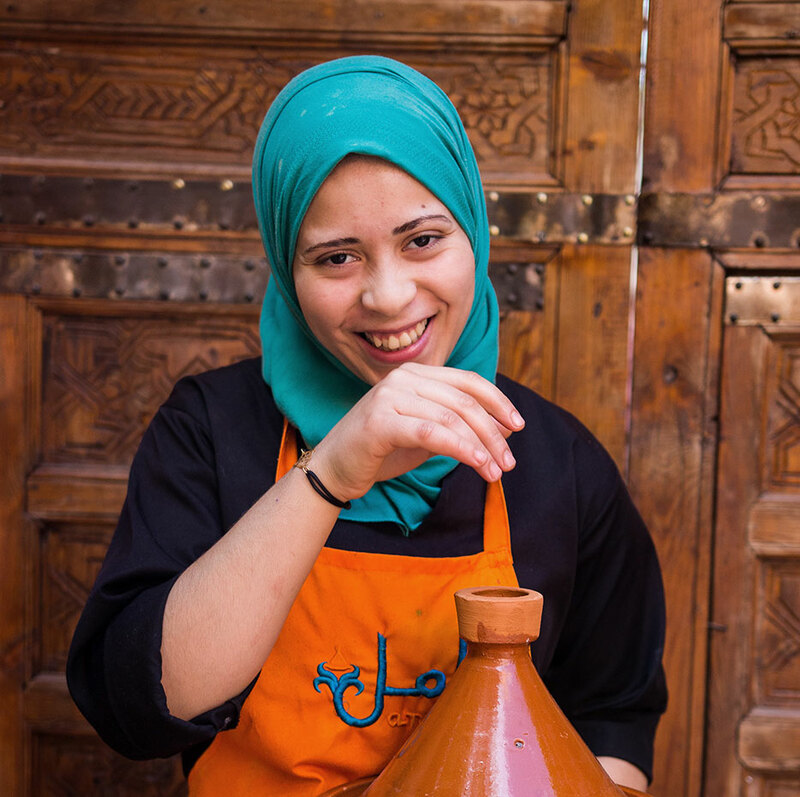 Fatima has always dreamed of working in a place where she can change lives. Her dream at last came true when she joined Amal at the beginning of 2018. 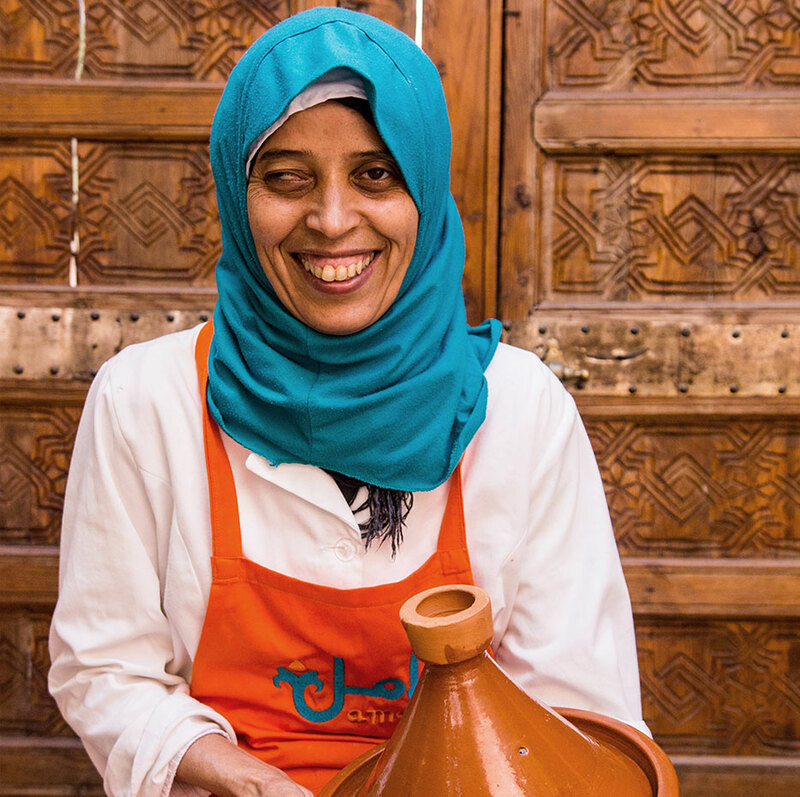 Since then she has been integral to running Amal’s catering and school lunch programs, as well as the day-to-day operations at the Amal Targa center. Fatima has worked in the insurance industry for 18 years. She started at Amal in October 2016 as Administrative Assistant to the Director and now oversees Amal’s finances and operations. Fatima is married and is mother to two girls. Souad was working at Dar Si Hmad NGO in Agadir/Sidi Ifni. She joined our team in June 2017 to take care of training, followup and employment of our trainees. 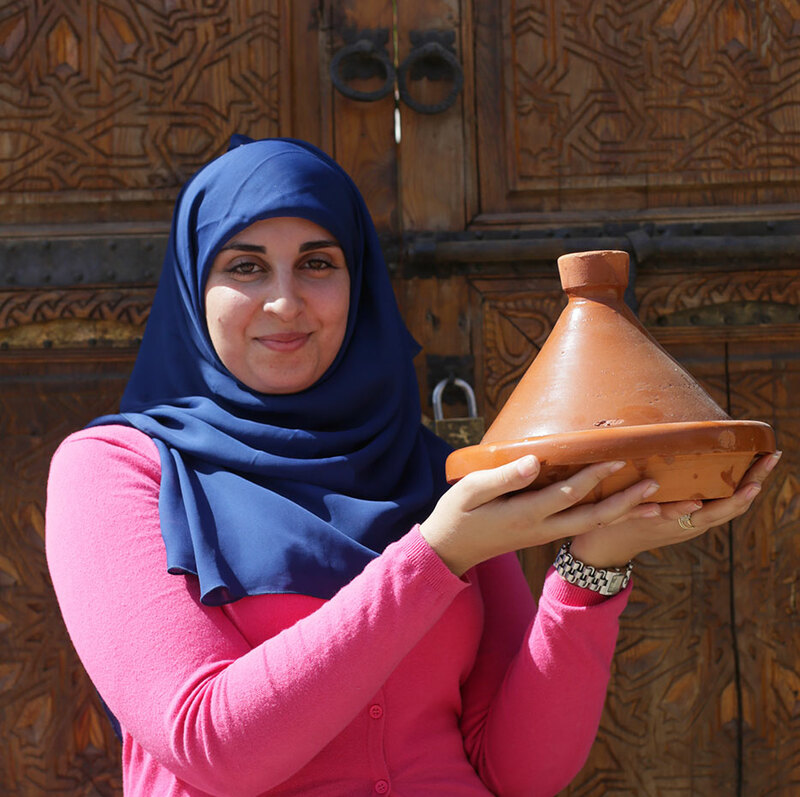 Souad loves traveling and helping people. 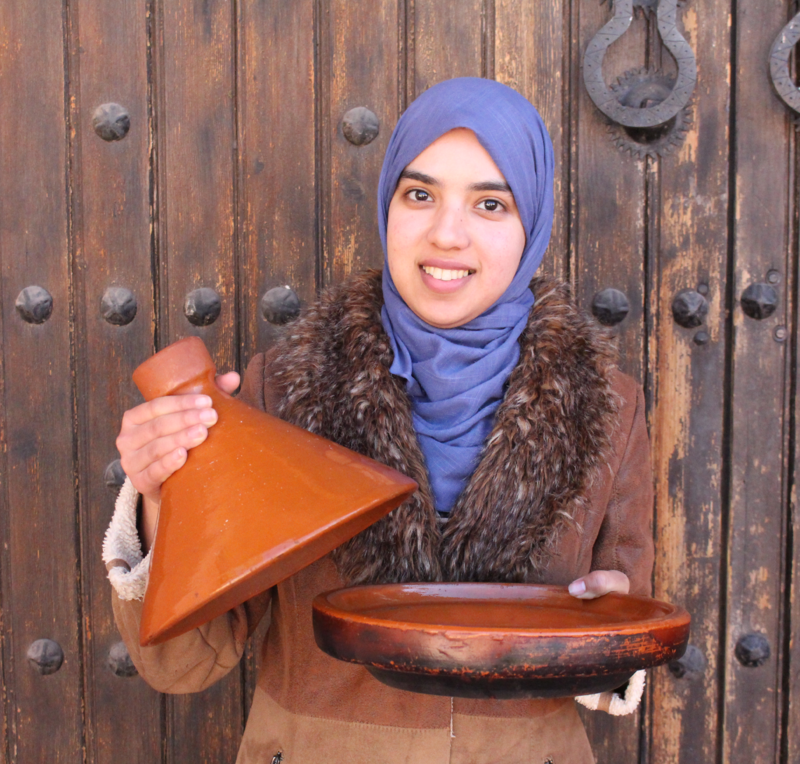 Born and raised in Agadir, Fatima Zahra is excited to be a part of the Amal team and interact with people from many different backgrounds. 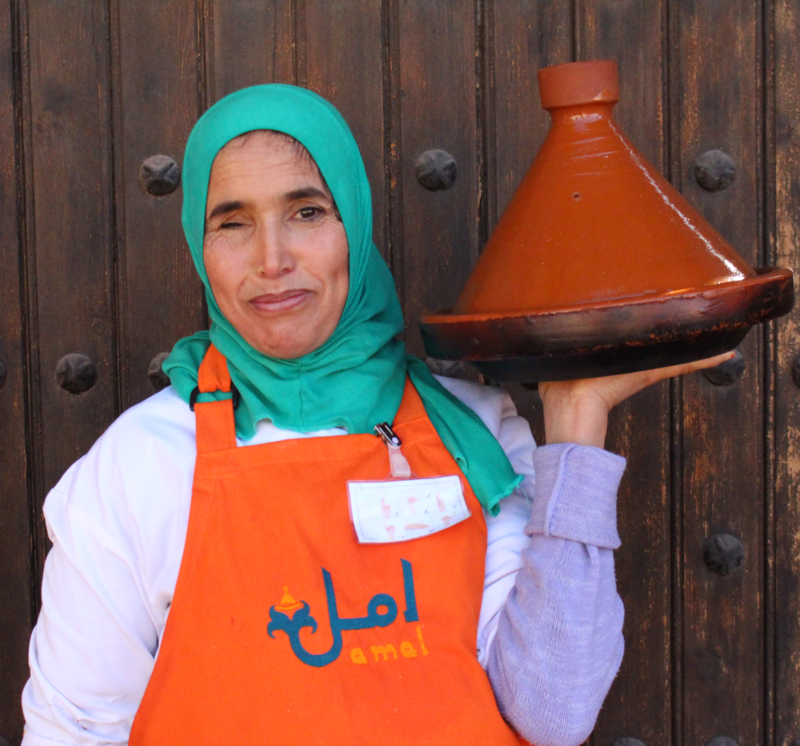 She runs Amal’s daily Moroccan cooking classes and manages Amal’s social media. 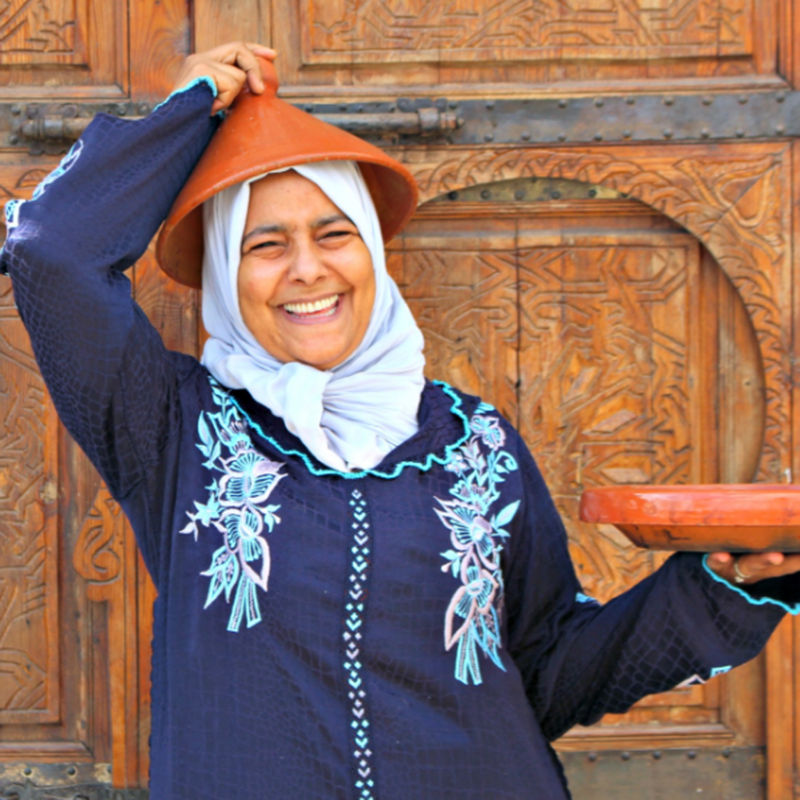 Zakia has a degree from PIGIER: Ecole de l’informatique et du réseau-IT & networking school and worked many years as an administrative assistant at a local hotel in Marrakesh. She joined Amal in 2014. 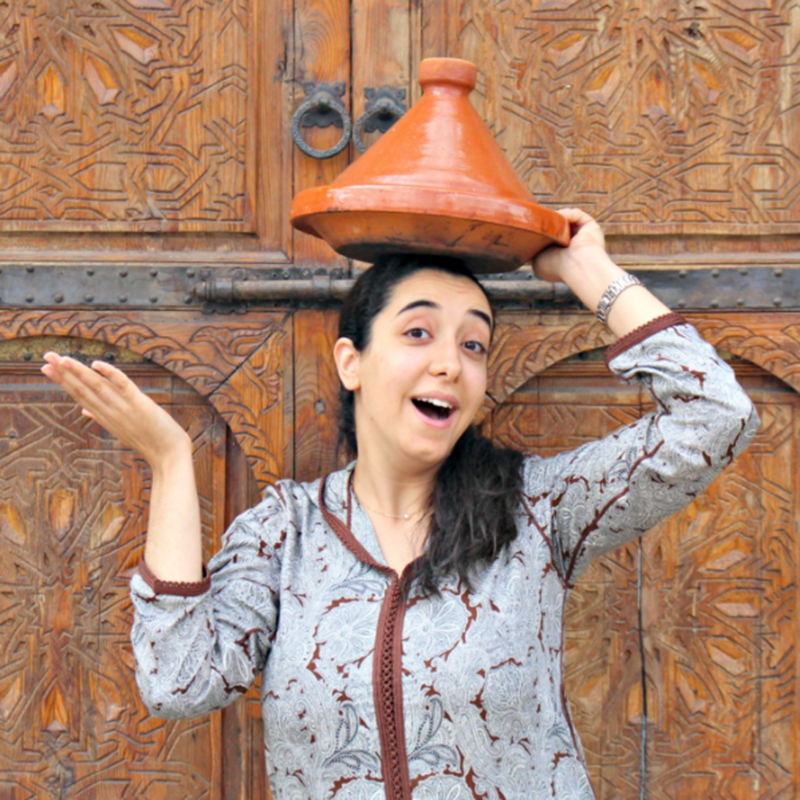 Houda was born in Meknes and has spent most of her life in Marrakesh. 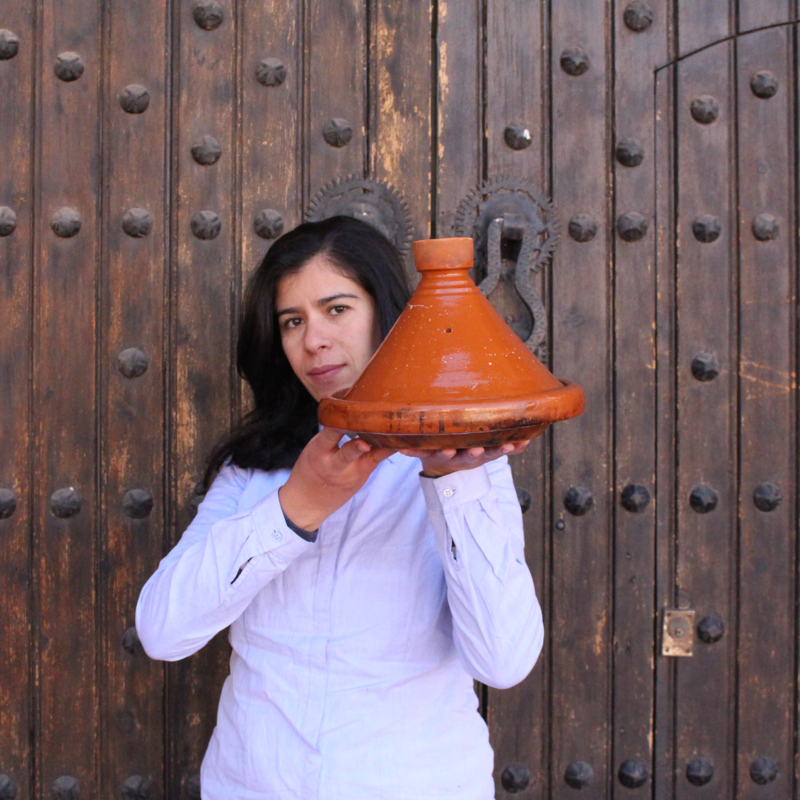 She has worked in many high-end cafés and restaurants in Marrakesh. Houda comes to Amal because she loves the idea and vision of the Center. Naima, one of the original founders of Amal along with Nora, has been an integral part of the Amal team since its conception. 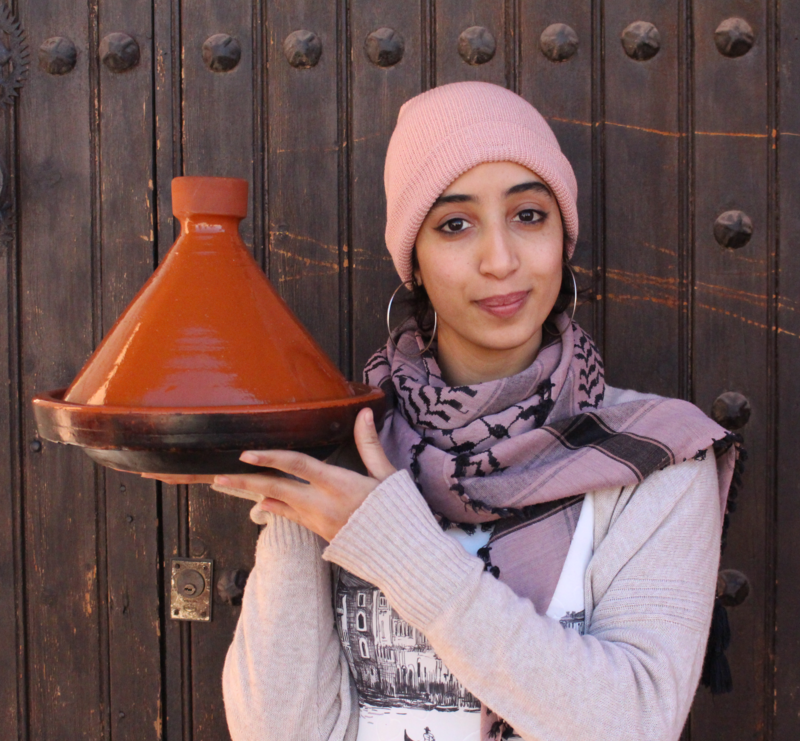 Meriem, one of our youngest staff, joined Amal in January 2014. 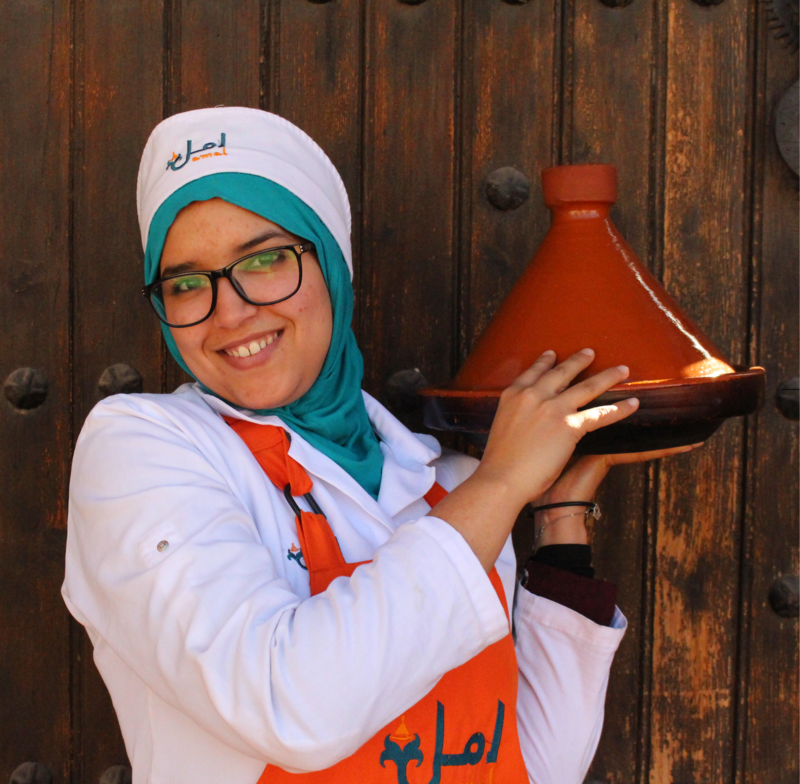 After the departure of our previous chef Mhamed, she took over his role as she has a diploma in culinary arts. 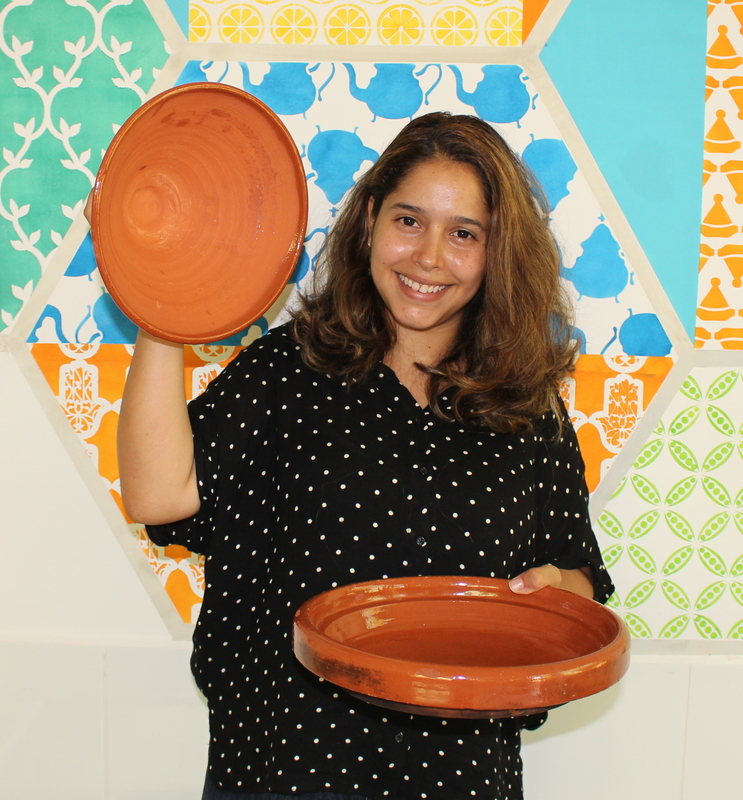 Meriem manages the kitchen with ease and has successfully handled many major events. She has been Amal’s chef since March 2016. Meriem has a beautiful daughter. Jamila has been with Amal since January 2014. She has learned cooking in her family’s house and has become a great cook. 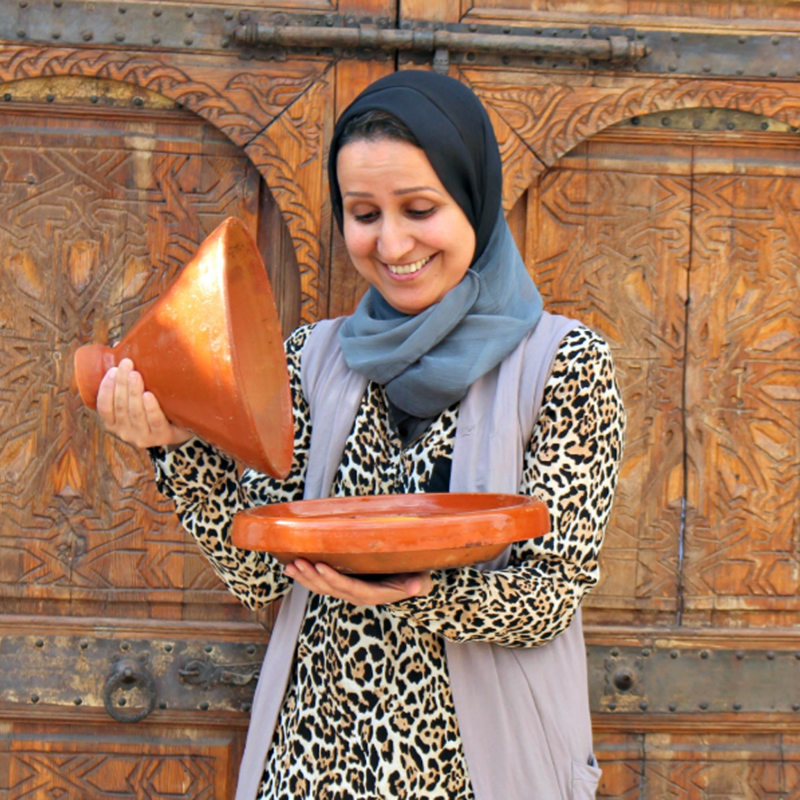 She has been offering cooking classes and making some delicious Moroccan dishes. Jamila is married and a mother of 2. Loubna joined Amal’s team after serving as a volunteer for 18 months. She excells at making international desserts and is a good trainer. All our trainees love learning from Loubna. She is married and has one daughter. Loubna joined Amal as a full-time employee in March 2016. 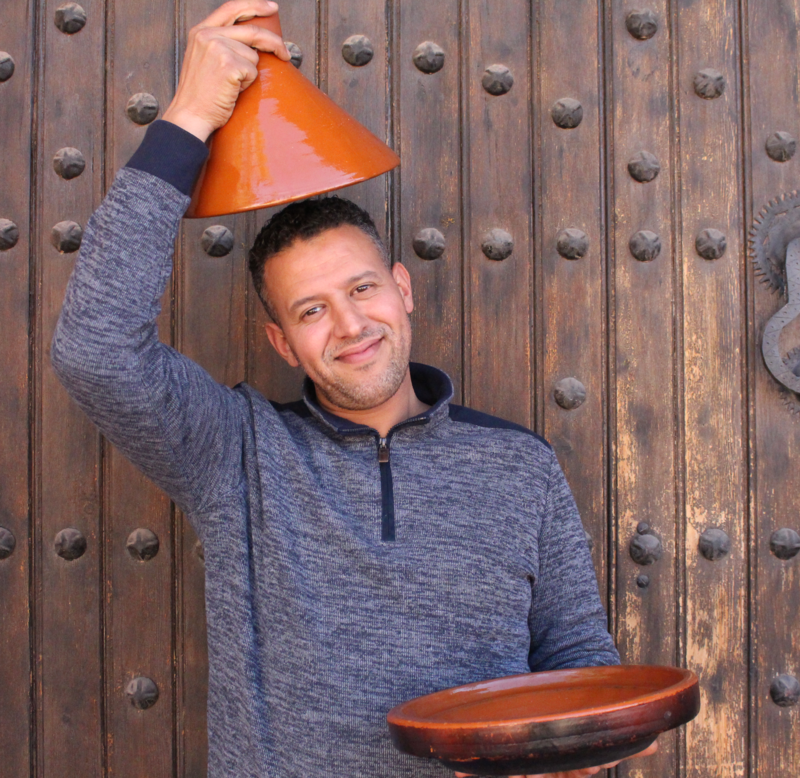 Hicham joined Amal in September 2016 to take care of the transportation in Amal’s second center, but really does a bit of everything! 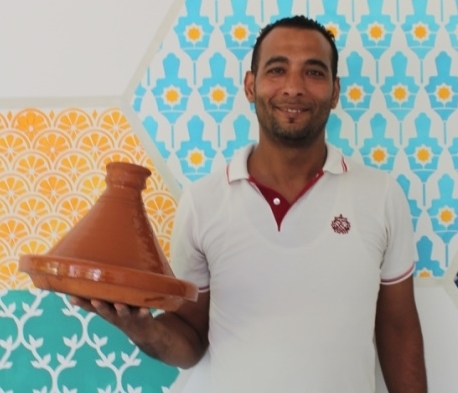 Mohamed started working at Amal in October 2016. He is our master gardener, school lunch driver, and smiling face that makes sure the facility is safe and beautiful! Karima has had some experience working in professional kitchens. 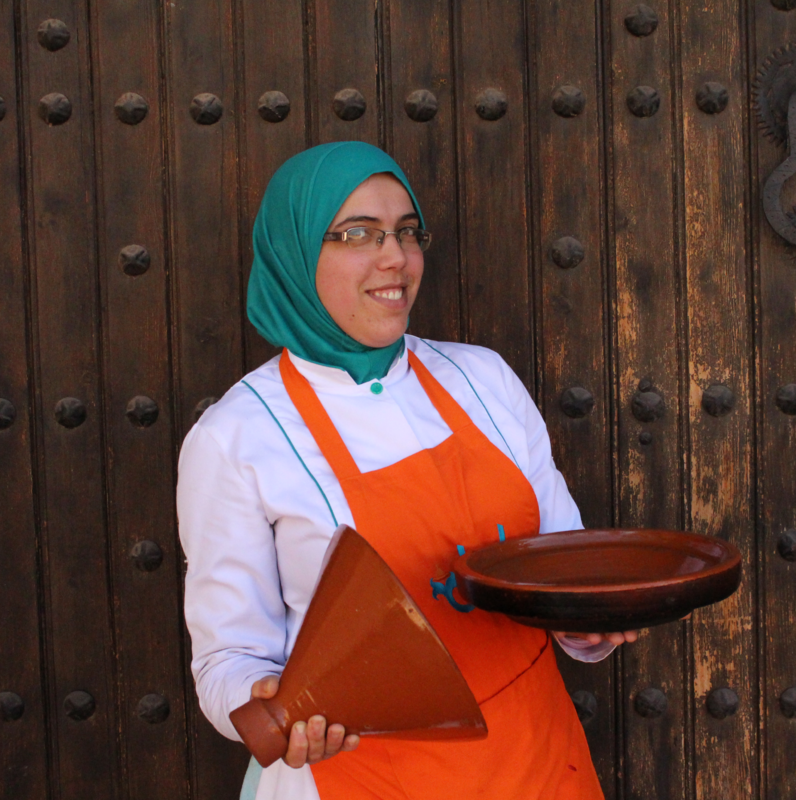 She was hired by Amal as a kitchen staff member in October 2016 then she was promoted to Chef after the departure of Chef Abdelhafid in January 2017. Karima is a mother to one boy. Khaoula initially came to Amal to do an internship that was required by the Mohamed VI Center for Handicaped Kids where she was studying. Then, Amal offered a job and Khaoula started working with us in December 2016. Khaoula loves helping people and she pays attention to details. Zahra started at Amal as a trainee and since has grown along with Amal. When Amal opened its second center, Zahra was asked to join our permanent staff. 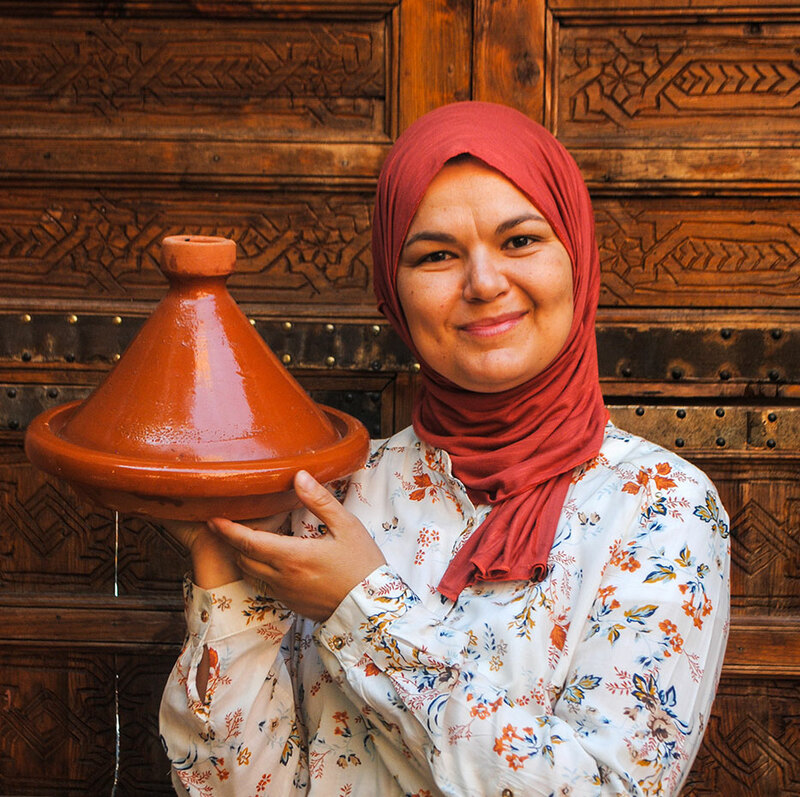 Finally, in 2018 Zahra eagerly rose to be the Chef de Cuisine at Amal 21 where she teaches trainees how to cook international dishes. 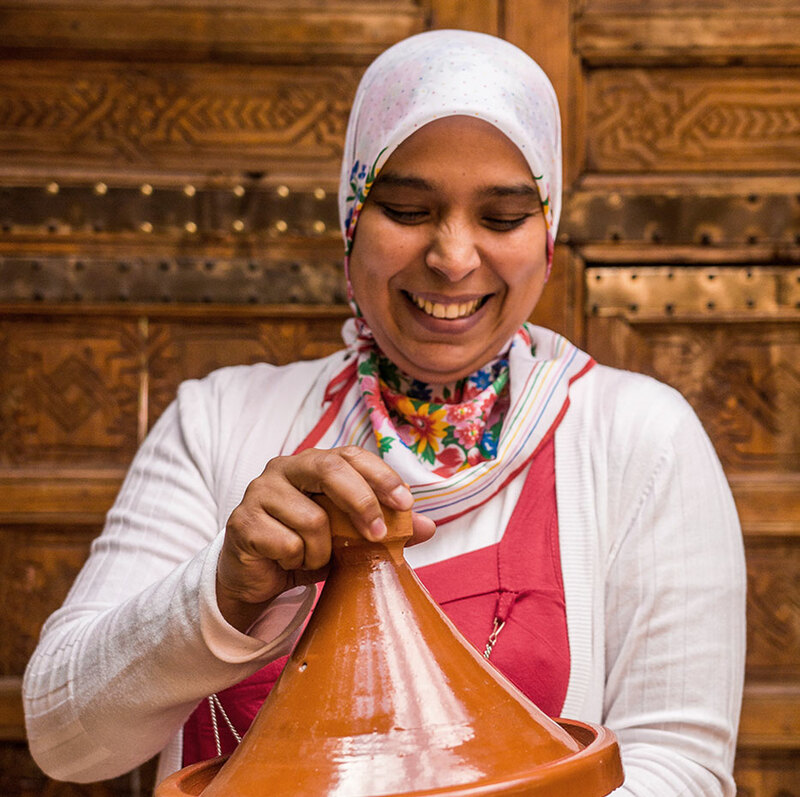 Zahra loves traveling and cooking. Mina started at Amal as a trainee. When Amal opened its second center, she was asked to join our permanent staff. Mina joined Amal in September 2016. Fatiha started at Amal as a trainee. When Amal opened its second center, she was asked to join our permanent staff. Fatiha joined Amal in September 2016. Fatiha loves music and making everyone laugh.